Over 3 1/2 hours of classic horror and science fiction trailers. This set includes all three of the FESTIVAL OF FRIGHT volumes. Trailers include DAUGHTER OF DR. JEKYLL, FRANKENSTEIN, TARANTULA, DEMENTIA 13, SON OF FRANKENSTEIN and scores more! 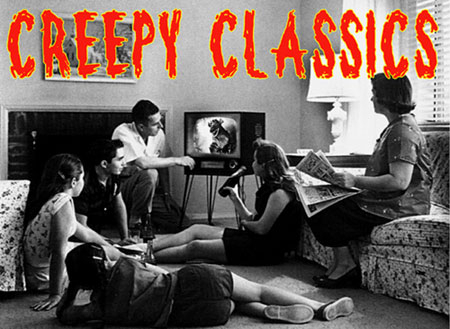 The biggest classic horror trailer collection we stock!